A new party is coming to town that will encompass all styles and feels of house music. On Saturday, Dec. 15, Sound Communication Hi-Life is being held at Hinotama Hall in Naha City. This party is different from many other house parties in that it does not stick to one particular genre but includes a bit of everything, from house to Latin to world music and more. The organizers of the event feel that this is a music event rather than a club event and believe it is a house party where people will enjoy all sounds and styles of music. The event is also a CD release party for acclaimed DJ Katsuya’s new album “dawn” on Ibadan records. Hi-Life will kick off at 10:00 p.m. A live percussion act with soul camp dancers will perform at midnight, followed at 1:00 a.m. by DJ Katsuya, an artist who started performing as a DJ in 1987 and who has played at many underground clubs around Japan. Katsuya has been a regular DJ for the Hi-Life party since it began in 1998. Tickets to the event are being sold in advance for ¥2,500 at Get Happy Records, Star Bow, Takara Records, patt-pong, Hinotama Hall, Freee-K Show, Matador, Men’s Bigi, Libido, rim shot, CD shop ROOMS and 69 Records. At the door, admission is ¥3,000, but if you only have dollars, you can purchase a ticket in advance for $20 or pay $25 at the door. Also, if you bring a clipping of this story on the day of the party, you will save $5, or ¥500. This event will certainly be a good time for all fans of electronica. See you there! 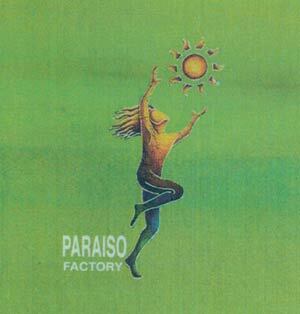 Also, Paraiso Factory hosts a party at Hinotama Hall on the first Tuesday of every month. For more information on Sound Communication Hi-Life, call Hinotama Hall at 098-831-6106. For driving directions to Hinotama Hall, check out GrooveSeeker.